The versatility of the space accommodates rustic, industrial, casual and elegant ceremonies and receptions, alike! Reunions, birthdays, celebrations and more! Gather for a business meeting, annual party or conference at The Loft! The Loft at Combustion Brewery & Taproom is a versatile space perfect for receptions, social gatherings, corporate events, meetings, and more. Situated above the Brewery & Taproom, The Loft offers 7200 square feet of private space that features an abundance of sunlight, plenty of room to accommodate your group, and the unique character of the historic Pickerington Creamery Building. The Loft at Combustion Brewery & Taproom can accommodate up to 160 guests. 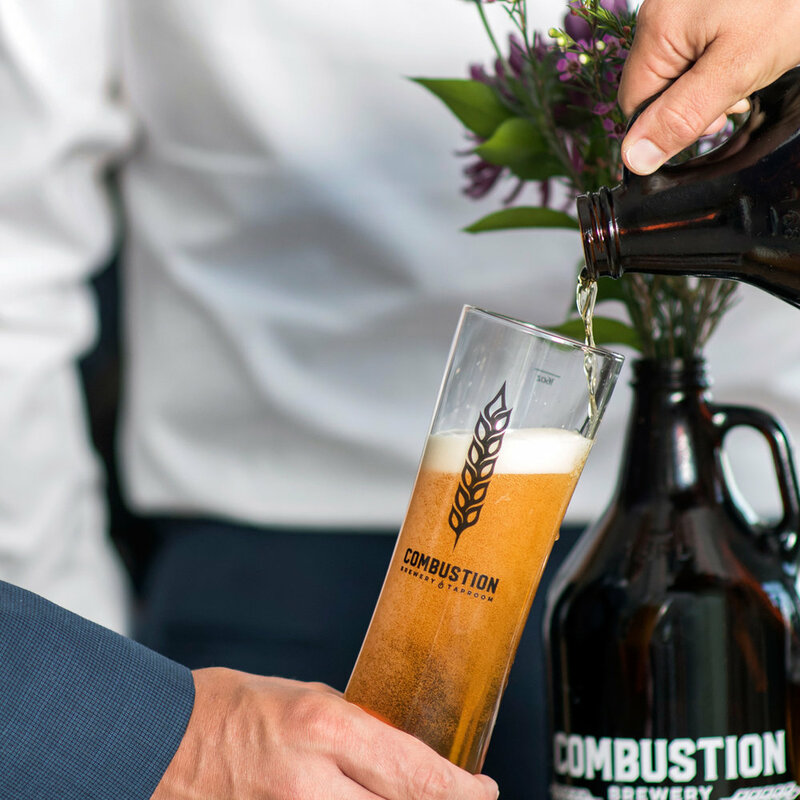 Guests enjoy Combustion's craft beer made-in house and served fresh from a private bar in The Loft. Book a showing today and get started planning your big event!